Hosseini, S. (2017). A Study of Catalytic Performance of Co3O4 and Cu-Co Nano Metal Oxides in Combustion of Aromatics. Iranian Journal of Chemical Engineering(IJChE), 14(2), 83-90. S. A. Hosseini. "A Study of Catalytic Performance of Co3O4 and Cu-Co Nano Metal Oxides in Combustion of Aromatics". 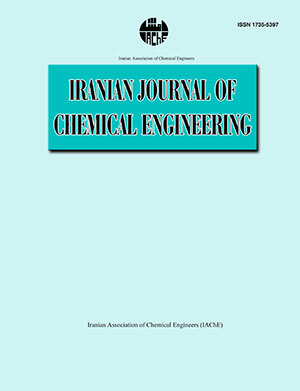 Iranian Journal of Chemical Engineering(IJChE), 14, 2, 2017, 83-90. Hosseini, S. (2017). 'A Study of Catalytic Performance of Co3O4 and Cu-Co Nano Metal Oxides in Combustion of Aromatics', Iranian Journal of Chemical Engineering(IJChE), 14(2), pp. 83-90. Hosseini, S. A Study of Catalytic Performance of Co3O4 and Cu-Co Nano Metal Oxides in Combustion of Aromatics. Iranian Journal of Chemical Engineering(IJChE), 2017; 14(2): 83-90. Two Cu-Co and Co3O4 oxides were synthesized by the conventional sol-gel auto-combustion and their physical-chemical properties were characterized by XRD, FTIR, SEM, TPR and XPS. The XRD results indicated that copper-cobalt oxide appeared in a mixture form of Cu0.15Co2.85O4 spinel and CuO phases, whereas the cobalt oxide exhibited in the pure form of Co3O4 spinel. The FTIR approved the formation of the spinel structure in the both samples. The SEM results showed that both oxides are as nanoparticles. Application of the same synthesis conditions for both samples let to obtain samples with different purity. The results of temperature program reduction (TPR) revealed that Cu-Co nano oxide is more reducible at lower temperatures. The copper-cobalt oxide exhibited the higher activity that the Co3O4 in catalytic combustion of toluene, which is explained by its higher reducibility at the reaction conditions and by a possible synergistic effect between Cu-Co oxide and CuO particles. Hosseini, S. A., Salari, D., Niaei, A. and Arefi Oskouei, S., “Physical–chemical property and activity evaluation of LaB0.5Co0.5O3 (B = Cr, Mn, Cu) and LaMnxCo1-xO3 (x = 0.1, 0.25, 0.5) nano perovskites in VOC combustion”, J. Ind. Eng. Chem., 19, 1903 (2013). Hosseini, S. A., Sadeghi, M. T., Alemi, A., Niaei, A., Salari, D. and Kafi Ahmadi, L., “Synthesis, characterization, and performance of LaZnxFe1-xO3 perovskite nanocatalysts for toluene combustion”, Chin. J. Catal.,31, 747 (2010). Lou, X. W., Deng, D., Lee, J., Feng, J. and Archer, L., “Self‐supported formation of needlelike Co3O4 nanotubes and their application as lithium‐ion battery electrodes”, Adv. Mater.,20, 258 (2008). Szegedi, A., Popova, A., Dimitrova, A., Cherkezova-Zheleva, Z. and Mitov, I., “Effect of the pretreatment conditions on the physico-chemical and catalytic properties of cobalt- and iron-containing Ti-MCM-41 materials”, Micropor. Mesopor. Mater.,136, 106 (2010). Konova, P., Stoyanova, M., Naydenov, A., Christoskova, St. and Mehandjiev, D., “Catalytic oxidation of VOCs and CO by ozone over alumina supported cobalt oxide”, Appl. Catal. : A., 298, 109 (2006). Song, O. and Zhang, Z. J., “Shape control and associated magnetic properties of spinel cobalt ferrite nanocrystals”, J. Am. Chem. Soc., 126, 6164 (2004). Sun, S. H. and Zeng, H., “Size-controlled synthesis of magnetite nanoparticles”, J. Am. Chem. Soc., 124, 8204 (2002). Zeng, H., Rice, P. M., Wang, S. X. and Sun, S. H. , “ Shape-controlled synthesis and shape-induced texture of MnFe2O4 nanoparticles”, J. Am. Chem. Soc.,126, 11458 (2004). Sun, S. H., Zeng, H., Robinson, D. B., Raoux, S. P., Rice, M., Wang, S. X. and Li, G. X. , “Monodisperse MFe2O4 (M = Fe, Co, Mn) nanoparticles”, J. Am. Chem. Soc., 126, 273(2004). Wyrwalski, F., Lamonier, J. F., Perez-Zurita, M. J., Siffert, S. and Aboukaı¨s, A., “Influence of the ethylenediamine addition on the activity, dispersion and reducibility of cobalt oxide catalysts supported over ZrO2 for complete VOC oxidation”, Catal. Lett., 108, 87 (2006). Hosseini, S. A., Niaei, A., Salari, D., Alvarez-Galvan, M. C. and Fierro, J. L. G., “Study of correlation between activity and structural properties of Cu-(Cr, Mn and Co)2 nano mixed oxides in VOC combustión”, Ceram. Int., 40, 6157 (2014). Hosseini, S. A., Alvarez-Galvan, M. C., Fierro, J. L. G., Niaei, A. and Salari, D., “MCr2O4 (M=Co, Cu and Zn) nanospinels for 2-propanol combustion: Correlation of structural properties with catalytic performance and stability”, Ceram. Int., 39, 9253 (2013). Hosseini, S. A. and Alvarez-Galvan, M. C., “Study of physical-chemical properties and catalytic activities of ZnCr2O4 spinel nano oxides obtained from different methods - Modeling the synthesis process by response surface methodology and optimization by genetic algorithm”, J. Taiwan Inst. Chem. Eng., 61,261 (2016). Hosseini, S. A., Salari, D., Niaei, A., Deganello, F., Pantaleo, G. and Hojati, P., “Chemical-physical properties of spinel CoMn2O4 nano-powders and catalytic activity in the 2-propanol and toluene combustion: Effect of the preparation method, Environ”, Sci. Health, Part A., 46, 291 (2011). Hosseini, S. A., Niaei, A. and Salari, D., “Preparation and characterization of nano- and non-nanoscale Co3O4 spinels obtained from different methods and study of their performance in combustion of aromatics from polluted air - A comparison with Pt/γ-Al2O3 performance”, Environ. Sci. Health, Part A., 47, 1728 (2012). Rivas, B., López-Fonseca, R., Jiménez-González, C., José, I. and Ortiz, G., “Synthesis, characterisation and catalytic performance of nanocrystalline Co3O4 for gas-phase chlorinated VOC abatement”, J. Catal., 281, 88 (2011). Shi, X., Han, S., Sanedrin, R. J., Zhou, F. and Selke, M., “Synthesis of cobalt oxide nanotubes from colloidal particles modified with a Co(III)-Cysteinato Precursor”, Chem. Mater.,14, 1897 (2002). Zavyalova, U., Nigrovski, B., Pollok, K., Langenhorst, F., Müller, B., Scholz, P. and Ondruschka, B., “Gel-combustion synthesis of nanocrystalline spinel catalysts for VOCs elimination”, Appl. Catal. : B., 83, 221 (2008). Solsona, B., Davies, T. E., Garcia, T., Va´zquez, I., Dejoz, A. and Taylor, S. H., “Total oxidation of propane using nanocrystalline cobalt oxide and supported cobalt oxide catalysts”, Appl. Catal. : B., 84, 176 (2008). Chen, X., Zhang, J., Huang, Y., Tong, Z., and Huang, M., “Catalytic reduction of nitric oxide with carbon monoxide on copper-cobalt oxides supported on nano-titanium dioxide”, J. Environ Sci., 21, 1296 (2009). Alizadeh-Gheshlaghi, E., Shaabania, B., Khodayaric, A., Azizian-Kalandaraghd Y. and Rahimi, R., “Investigation of the catalytic activity of nano-sized CuO, Co3O4 and CuCo2O4 powders on thermal decomposition of ammonium perchlorate”, Powder Technol., 217, 330 (2012). Tang, Q., Wu, C., Qiao, R., Chen Y. and Yang, Y., “Catalytic performances of Mn–Ni mixed hydroxide catalysts in liquid-phase benzyl alcohol oxidation using molecular oxygen”, Appl. Catal: A., 403,136 (2011). Vodyankin, A., Kurina L. and Popov, V., “Multicomponent oxide catalysts of a deep oxidation of carbon monooxide”, Kinet. Catal.,40, 636 (1999). Chen, M. and Zheng, X., “The effect of K and Al over NiCo2O4 catalyst on its character and catalytic oxidation of VOCs”, J. Mol. Catal. : A.,221, 77, (2004).